Merit badges are now linked to ranks. As a scout earns merit badges they are automatically applied to the merit badge requirement for Star, Life, Eagle, and the Eagle Palms. Completed ranks and merit badges can now be uploaded into your TroopWebHost system from the ScoutNet advancement file. This file is available from your Council's Internet Advancement site. Cub Scouts and Girl Scouts can now create shifts for any event. This helps you plan staffing for fundraisers and other events which require staff for specific time slots. Treasurers for Cub Scout packs and Girl Scout troops can now override the transaction amount for individual members when creating group transactions. 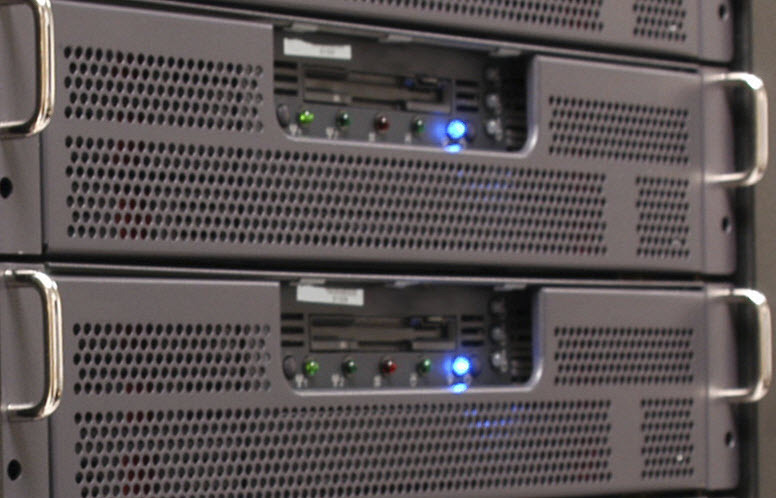 We added a second server to improve system response times for all of our users. Troop 510 of Topton, Pennsylvania! 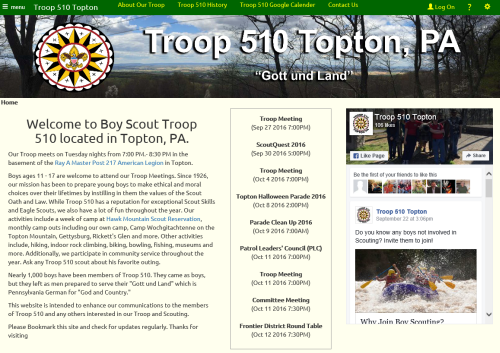 We've never seen a troop come up to speed as quickly as Troop 510 of Topton, Pennsylvania. Troop 510 purchased their subscription on September 16 and they already have one of the most extensive public sites we've seen. They've made excellent use of our widgets, including a new widget that lists recent events. They've rearranged their Home page so that their main article is at the top left, so it will appear first when viewed from a cell phone. They've laid out their pages to use responsive design. They created a dozen custom pages on topics from "What is Boy Scouting" to the "Troop 510 Handbook". They've even inserted their Facebook timeline and added a Google Map showing the location of their weekly meeting place.